Right. just so’s you know, I’m totally sobre now. Ahem. 1. When they are both holding out sonic screwdrivers, the Doctor’s is a real sonic screwdriver, and the other is a plain, boring screwdriver. Interesting. 2. If David Morrisey was going to be the new Doctor, why ruin the regeneration with something like this? 3. What sort of cyberman is that?! Quite an interesting wig for a cyberman. Only five weeks and a bit to find out! 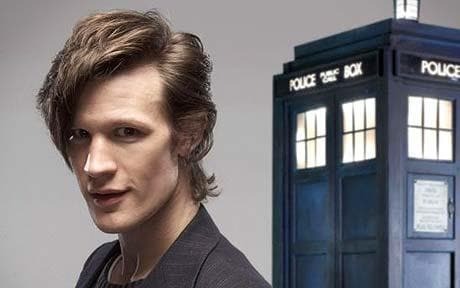 Some guy fronm the North west is going to be the new doctor? Cool. And he is completely not like David Tennant in any way. Right, that’s all. signing off.